I am originally from Barranquilla, Colombia but in 2005 Bergen County became my home. I am happily married to Boris Olier and have two wonderful children, a 5 year old son and a 2 year old daughter. Five years ago when I had my first child I was weighing at 195lbs, and I watched a Zumba Infomercial which featured Beto Perez (creator of Zumba) dancing with other instructors. Little did I know that watching this infomercial would change my life forever! For the first time I witnessed an exercise program that was built upon what I loved to do… dancing! That day I logged on to www.zumba.com and looked for workshops near my area. I have never taken a Zumba class before, but dancing has always been a part of my life growing up as I was involved in many dance performances in Colombia, therefore I decided to certify myself as a Zumba instructor. I was a dancer in folk music and I began my dancing career when I was 17 years old back in Colombia. With this I have had the opportunity to perform in international festivals in Europe, Central and South America. I knew that by becoming an instructor I could help others achieve not only their weight-loss goals, but also encourage them to follow their dreams. I knew that if I could do it, others could be influenced to do it to also. In April of 2008, I received my Zumba certification, and a few months later I was already working at a gym. I can still remember how proud I was at that day’s end and how I vowed to make sure that others would have the opportunity for the same life changing experience that I did. 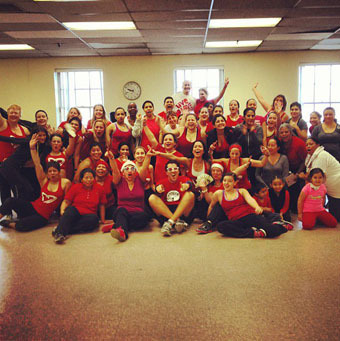 Just a month after having received my certification I began teaching Zumba at other gyms. The rest is history! I have since then received other Zumba certifications (Zumbatomic, Zumba Golds, Zumba Sentao)and teach at a variety of fitness centers in Bergen County. I have even been active in Zumba fundraising events. For a period of time I was a part of a small segment about Zumba in Telemundo’s program, “Acceso Total”, where I motivated people to exercise at home. This was an unforgettable experience in my life. My heart smiles when I am able to witness the changes in the lives of my students. 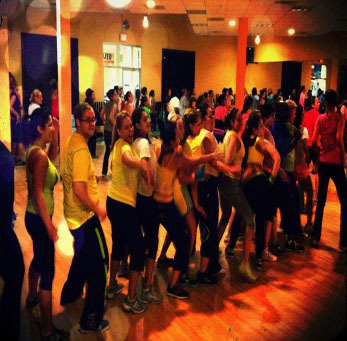 For many like myself, the Zumba party becomes a family affair. Husbands, wives, children, and family friends join the Zumba fun and we create a network of community and relationship that is to be admired. 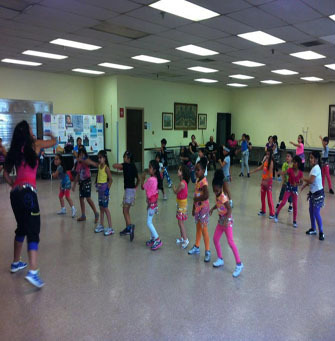 Take the leap, join my Zumba class today (http://osirisbarcenas.zumba.com/) and allow Zumba to change your life!